Bandipur National Park (BNP), spanning 874 square kilometres (337.5 square miles) and established in 1974 as a tiger reserve under Project Tiger, was once the Mysore Maharaja’s private hunting reserve. Today, it is one part of India’s largest biosphere reserve called the ‘Nilgiri Biosphere Reserve’, covering 2,183 square kilometres (843 square miles). It is home to around 70 tigers and 3,000 Asian elephants, which is the largest wild elephant population in South Asia. A BNP visit is usually paired with an Ooty and Coonoor visit. The best season to tour BNP is between October and May. Safaris in BNP are usually done in minibuses. The 45-minute safari organised by the park is the simplest and most common way to explore BNP. Wildlife that visitors may see at close range during the safari include elephants, wild dogs, deer, wild boar, etc. The best way to catch some rare wildlife is to be part of the first bus or last bus of the day and avoid weekends and holidays as it will be crawling with people. The best way to encounter wildlife in BNP is by taking a private jeep safari. Currently, only two parties operate these safaris, namely Bandipur Safari Lodge and Tusker Trail Resort. Private jeep safaris include experienced guides who will help you in spotting and identifying wildlife and is ideal for wildlife enthusiasts and game photographers. As always, those safaris that take place in the early morning and late evening offer the best chances to spot wildlife, including tigers. Elephant rides organised by the forest department at BNP offer a unique experience to visitors. The duration of the journey is 20 minutes; however, one-hour-long rides that go deeper into the forest are conducted by the forest officials on request. Established in 1940, MNP was the first of its kind in southern India, located in Tamil Nadu. Situated on the banks of the Moyar River, it was recently declared a tiger reserve. The crested hawk-eagle, the crested serpent eagle, the Malabar trogon, and the Malabar grey hornbill are all spotted here, making it a must-visit for bird-watchers. The Himavad Gopalaswamy Betta is the highest peak in the BNP at 1,450 meters (4,760 feet) above mean sea level (AMSL) and is home to an extensively wooded forest with quite frequent animal sightings. The name of the hills has the prefix Himavad since mist covers it year-round. In the local language of Kannada, himavad means mist-covered, and betta means hill. 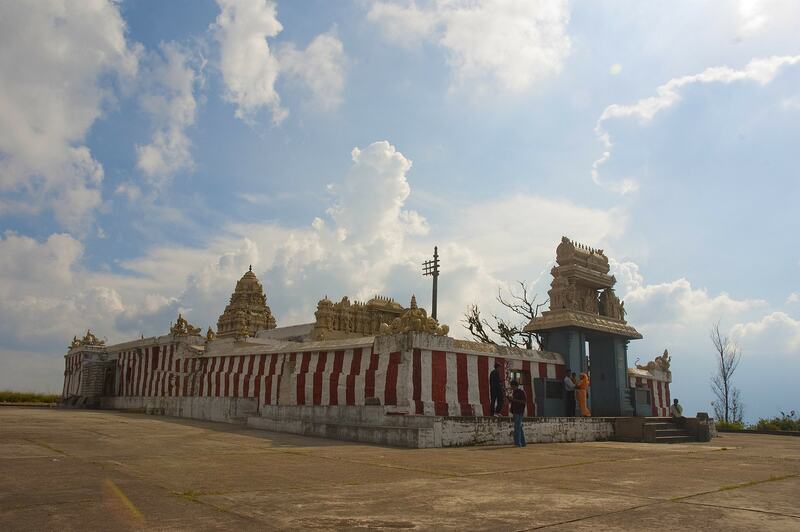 The temple situated on top of the hill of the same name was built by Chola King Ballala in 1315 CE. Trekking to the temple through the forest is banned. Udagamandalam, aka Ootacamund or Ooty, is a popular hill station located in the Nilgiri Hills, perched at 2,240 metres (7,350 feet) AMSL. It is also known as the ‘Queen of Hill Stations’. The drive or ride up to Ooty from Bandipur via Masinagudi is one of the best routes there is, with 36 hairpin bends. In Ooty, visitors can ride on the Nilgiri toy train through spectacularly picturesque landscapes, go boating at Ooty Lake and visit Stone House, the Botanical Garden and Toda hamlets. They can also take nature walks at Dolphin’s Nose and Doddabetta Peak and trek up to the Kalhatti Falls and visit several viewpoints there. 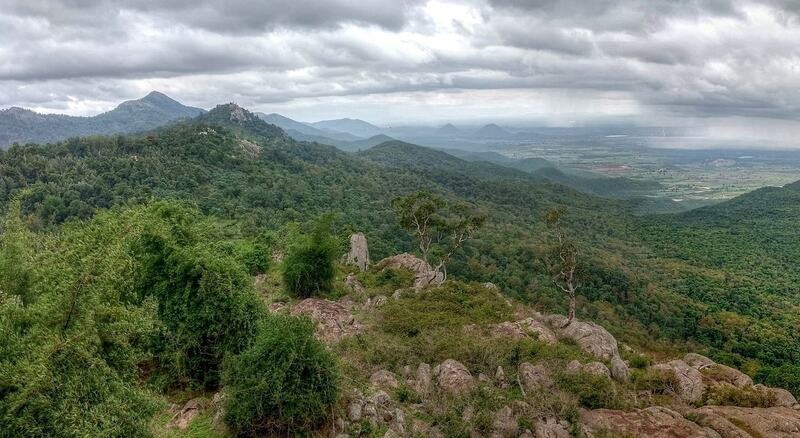 The BR hill range forms the south-eastern border of Karnataka and is known for the Biligiri Ranganatha Swamy Temple Wildlife Sanctuary, or BRT Wildlife Sanctuary, situated on the confluence of the Western Ghats and the Eastern Ghats. This link allows animals to move between the two ghats. Another highlight of the place is the BR temple, which is the only temple in India that has a standing form of Lord Ranganatha. At 1,850 metres (6,070 feet) AMSL, Coonoor is the second largest hill station in Nilgiri Hills, after Ooty, and is the start of several trekking expeditions that lead into the Nilgiris. Some highlights in Coonoor include excursions to Law Falls and Lamb’s Rock, trekking expeditions, along with visits to Sim’s Park, St Stephen’s Church, Droog Fort and Hidden Valley.